Should you supplement your dog with Omega-3 fatty acid? 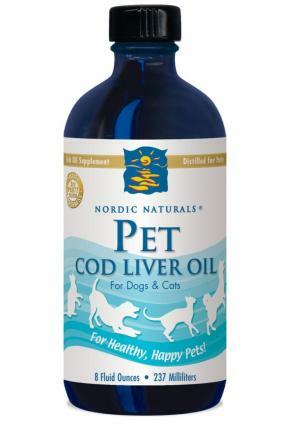 There's a lot of info floating around about the benefits of giving dogs fish oil, so find out if Nordic Naturals' product is a safe and healthy option for your pet. LoveToKnow Dogs is pleased to have an opportunity to speak with Bonnie Johnson, manager of the Veterinary/Pet division of Nordic Naturals. Nordic Naturals offers Omega-3 fatty acid supplements for both humans and pets. We wanted to learn more about these supplements and how they can benefit our canine friends. Essential fatty acids are the basic building blocks of fats. These types of fats are important for pet health and are considered "essential" because dogs and cats lack the necessary enzymes to synthesize these fats in their bodies, therefore, they must be consumed from dietary sources such as food or supplementation.There are two categories of essential fatty acids called Omega-3 and Omega-6 fatty acids. Dogs and cats require an Omega-3 fatty acid called alpha-linolenic acid (ALA) and an Omega-6 fatty acid called linoleic acid (LA). Since cats are carnivores, they require an additional Omega-6 fatty acid called arachidonic acid (AA). A concentrated source of the important Omega-3 fatty acids, EPA and DHA, are derived directly from wild, cold-water fish such as Arctic cod, anchovies, mackerel and sardines. Omega-6 fatty acids are derived from plant origin. How do Omega-3s benefit a dog's health? Omega-3 fatty acids benefit your dog's health in many ways. Omega-3 fatty acids are important constituents of cell membranes, providing membrane fluidity and flexibility required for proper cell function. They are important components of nerve cells and are necessary for normal neurotransmission. Other important health applications for your pet include promoting healthy skin, coat, joints, brain and eye development and maintenance, heart and circulatory system. Also, Omega-3 fatty acids provide a source of energy for your pet and help retain moisture in the skin, hence protecting the skin from dehydration. What is the recommended daily intake of Omega-3 fatty acids for dogs? Please consult your veterinarian for his/her recommendations on the appropriate dosage for your pet's specific needs. Aren't there already Omega-3 fatty acids derived from fish in most commercialized dog foods? Why give further supplementation? Yes, some of the commercialized and prescription diets have Omega-3 fatty acids derived from fish incorporated in their food. It is important to know the source and quality of the fish oil in foods and how the oil is being handled during the manufacturing and packaging processes. Any of these steps can affect your pet's health if not evaluated and done correctly. Omega-3 fatty acids are classified as polyunsaturated fats. These types of oils are susceptible to oxidation, certain temperatures of heat and light. Upon exposure to these elements, these oils turn rancid. Rancid oils taste fishy, cause fishy burps and promote free radicals in the body. Exceptionally fresh oils are highly palatable, absorb well and promote pet health. Purity and freshness levels are critical factors to evaluate in fish oils. You want a fish oil that is exceptionally pure and fresh where there is no detection of heavy metals, PCBs, dioxins, furans and oxygen in accordance to the Norwegian Medicinal and European Pharmacopoeia Standards and limits. For more information on these standards and limits, please visit our website. In addition, the type of fish and the ocean the fish is derived from are important. You want wild fish from clean oceans. The fish should be low on the food chain and provide a concentrated source of the important Omega-3 fatty acids, EPA and DHA, such as wild Arctic Cod, anchovies, mackerel and sardines. Further supplementation may be needed from a quality source if you are not receiving exceptionally pure, fresh fish oil in the pet food or if your pet may require a certain concentration and/or ratio of EPA and DHA. Can a dog receive too much of this supplement? It is wise to consult with your veterinarian before beginning any additional supplementation. He/she can compare the amount of EFAs in your pet's current diet and make further recommendations on the appropriate Omega-3 fish oil formula and dosage for your pet. Nordic Naturals offers their supplements in both gel caps and liquid. Is there any advantage to using one over the other? Nordic Naturals provides both liquid and encapsulated Omega-3 fish oils. Liquids are easy to dose and mix with food. Encapsulated fish oils can be easily chewed by larger dogs or punctured and added to food for cats or smaller dogs. They are also very convenient for when you travel with your pet. Thank you Bonnie for the lesson on essential fatty acids. You've given our readers further food for thought about Omega-3 supplementation. Sample and press kit provided for review at LTK Dogs by Bonnie Johnson, manager of the Veterinary/Pet division of Nordic Naturals.